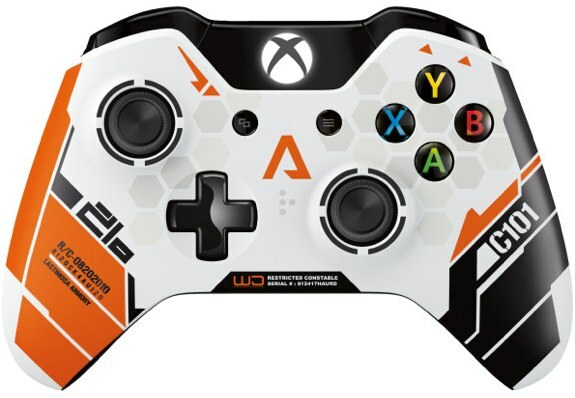 “In a collaborative effort with the Xbox design team and the Respawn art department our goal was to create a controller that feels as if it is a piece of military spec hardware transported from the universe of Titanfall and into players hands,” said Joel Emslie, lead artist at Respawn Entertainment. To be clear, this is a standard Xbox One controller—it doesn't do anything extra that other controllers don't do—it just has the unique art styling and coloring. You can pre-order the Titanfall controller now, as well as the Titanfall game. Both will be available on March 11th. For other special editions, check out the Xbox One I Made This edition console and controller.